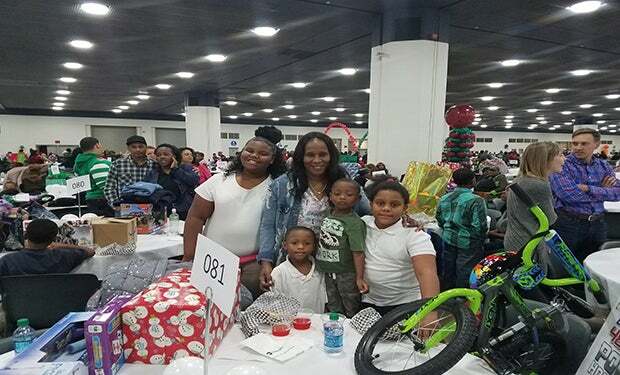 Each year, Cobo Center hosts the Adopt-a-Child Christmas event that serves more than 1,000 families with gifts through Detroit's North End Youth Improvement Council (NEYIC). The program collects gifts and warm clothing for children in need, ages 0-12 years. Founded by Delores Bennett, known most for her love for her neighborhood's children, the council uses mentorship educational assistance, recreational activities and other methods to improve the lives of children. Through the NEYIC, she began the Christmas program which affords holiday gifts to many of the North End neighborhood's children. One evening each year in the first week of December, gift donors and families from the North End gather in Cobo Center to celebrate the spirit of Christmas and generosity. Many thanks to the Cobo Center employees that chipped in this year to make the holiday season brighter and more loving for some of these children.